Perhaps you’ve been looking for a house and have found the terms “Short Sale”, “Bank Owned Resale” or “Foreclosure” but don’t quite know what that means? Fear not, this blog aims to explain. 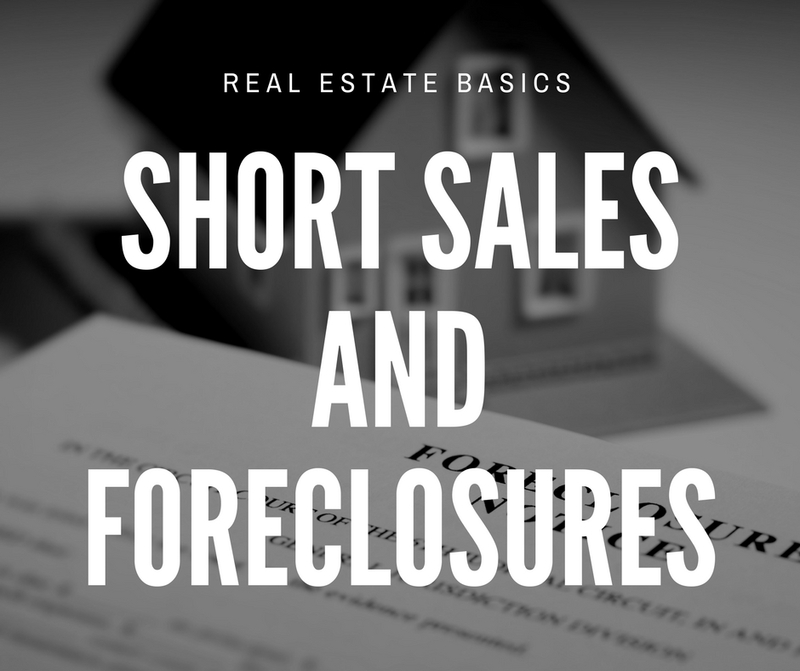 Despite how this term sounds “short sale” is not referring to a quick sale. The short in this term refers to money, not time, so if you’re interested in a short sale home, get ready to play the long game. In a Short Sale, the homeowner is either underwater on their home (their home is now worth less than the outstanding balance on their mortgage) or they are having trouble making payments and need to get out of the agreement with the lender. The owner will formally ask the lender to sign off on the execution of the short sale. This step is very important since the short sale may not take place without lender approval and it can take a while for the lender to sign off on doing a short sale. Make sure that the seller is in official default. Short Sale Package- Financial package submitted by the seller to the lender to get approval for the short sale. Short Sale Offer- Seller accepts offer from interested buyer, listing agent sends listing agreement to lender executed purchase offer, buyers pre approval letter, copy of earnest money check and the sellers short sale package. Bank Processing- The bank reviews the offer and either approves or denies the sort sale. Can take several weeks to months. This is what happens after the lender has filed foreclosure on the home. It is taken to the court and a “trustee sale” takes place. Bidders put in offers and the home (most likely the bank that owns the property) and if the offer is approved a deposit must be made and the sale is subject to ratification by the court. In most cases buyer assumes responsibility of the property at that time. This is when the bank purchased the property at the courthouse in the “trustee sale” and it is now back on the market. Usually an “AS IS” sale. Buyer is responsible for repairs. Hopefully this has cleared up confusion you may have had regarding the differences between Short Sale properties and Foreclosures. Whether you decide to go in on a short sale or foreclosure or not we are here to offer professional assistance to guide you through your home buying experience. About the Author: Tim holds the Graduate Realtors Institute (GRI) designation and has been a licensed realtor since 1981. From 1996 to 2015 Tim was the broker/owner of Harry Hopkins Company, a family-owned real estate firm founded in 1961. He has also owned residential and commercial rental properties in the Baltimore Metro region.